We have worked for a wide variety of customers over the years from charities, sole traders to international PLCs, on simple websites through to full e-commerce websites. 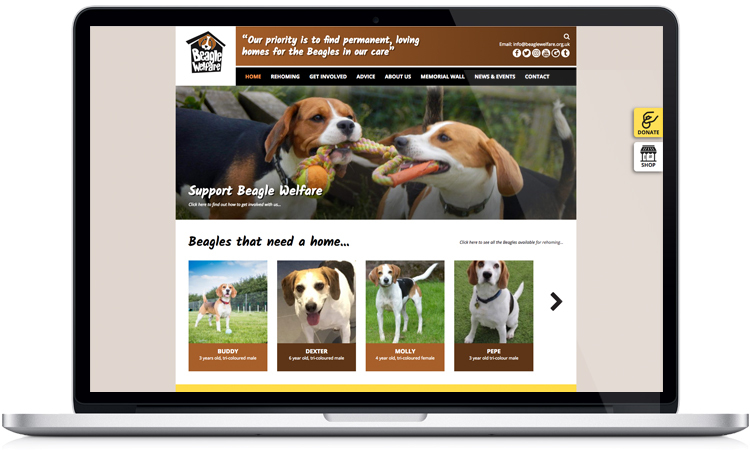 Here is an example of a dog charity website design we created working with Chesterfield based website developers Progressive Web Design. After the initial brief we created the photoshop page designs from the images and text supplied, then Progressive Web built the site in WordPress. The website is responsive (ie resizes for mobiles, laptops, desktops and tablets) and also features content management so the charity can easily update their pages. If your charity needs a new website design call the experts Andrew Burdett Design on 01433 208307 to discuss your online presence and for a FREE quote. 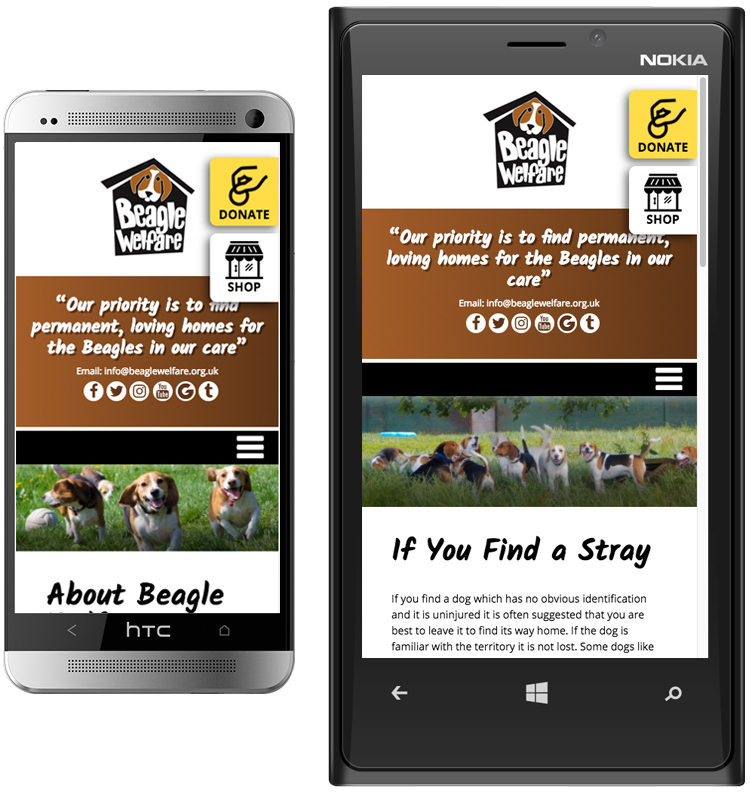 The responsive Beagle Welfare website viewed on an ipad mini.